Kenya’s high court has ordered that the date for switch off of the analogue TV signal be delayed, preferably until after the March poll. The court believes an immediate move to digital would be unfair to those keen to follow the polls on TV. 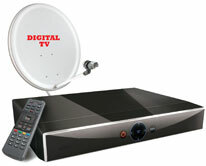 The Communications Commission of Kenya wanted to switch the country to digital TV in December. But consumer group COFEK argued that Kenyans had not been given enough time to prepare. The set-top boxes needed to receive digital transmissions are expensive for most people, it argued. Kiprono Kittony of Kenya’s Media Owners Association, said the switch-off would affect four million people and urged government to reconsider its decision.